India has changed. Rehana finds her father's books on medieval history have been 'disappeared' from bookstores and libraries. Her young domestic help, Abdul, discovers it is safer to be called Morari Lal in the street, but there is no such pro¼tection from vigilante fury for his Dalit friend, Suraj. Kamlesh, a diplomat and writer, comes up against official wrath for his anti-war views. A bomb goes off at Cyrus Batliwala's gallery on the opening day of an art show. Presiding over this new world is the Director of Cultural Transformation, whose smiling affability masks a relentless agenda to create a Hindu master race. 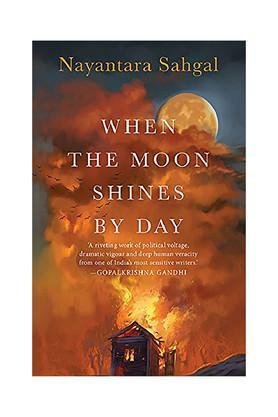 In this atmosphere, Rehana and her three book-club friends, Nandini, Aruna and Lily, meet every week to discuss a book one of them has chosen'their oasis of peace amidst the harshness of reality'even as Rehana's German friend, Franz Rohner, haunted by his country's Nazi past, warns her of what is to come. All revolutions, he wryly observes, follow the same path. But is India about to prove him wrong' In this brilliant, dystopian satire, Nayantara Sahgal draws a telling portrait of our times.